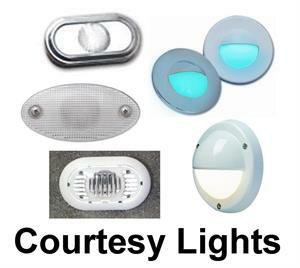 The lights on the exterior of your boat take lots of abuse. 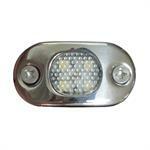 If yours are corroded, sun-baked, broken or otherwise just ugly, check out these OEM replacement lights! Courtesy lights take lots of abuse. 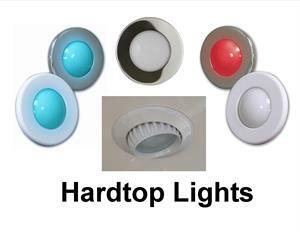 It's always easier to replace them with the same exact light, so we carry original equipment lights that were used by many builders! 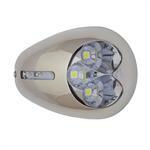 Exterior grade overhead lights help you see what you're doing at night! It's always nice to be able to see where you're going or what you're doing at night. 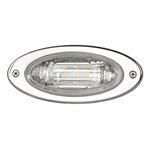 These dock lights have been used by many builders for years and are some of the brightest on the market! 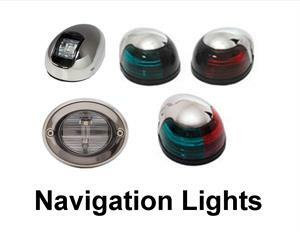 Direct replacement nav lights or upgrade to LED nav lights! 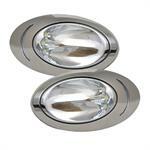 Very compact surface mount LED courtesy light with stainless steel bezel.